Why does it always take a catastrophe to get people engaged! Let’s revisit, reexamine and reassess it’s almost 2 years since this piece was written. Take a few moments and Re-read this blog, in its entirety, it’s in your best interest. And if you don’t see the possible challenges facing you then you should reevaluate the value of your home, personal belongings, insurance coverage, and replacing a life’s time of memories. 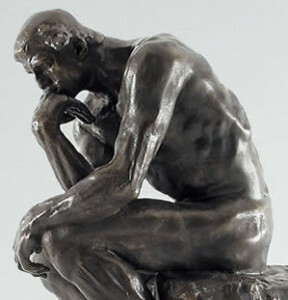 The wise person, the logical person upon reviewing what you own, will see the possible, probable outcome, the financial loss on the horizon! Natural or man-made disasters are severe. 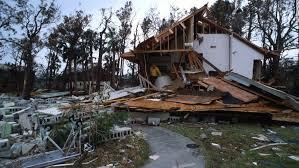 An event is designated a catastrophe by the insurance industry when claims are expected to reach $25 million. For days upon days we have all watched TV and Newspaper coverage about the Tornadoes and Floods. These current disasters are ongoing catastrophes. People are losing a life’s worth of homes, personal belongings, memories and more than that precious lives. The trauma that people go through in itself is tremendous add on the accumulated pressure of trying to remember what you owned is in calculable. I can guarantee you that better then 90% of those who are living in Tornado alley, Flooding, Wildfire country have NO Inventory. Or at best a punch of pictures without the required detailed backup. When your running from fire, after the fire, you’re not going to remember all the items that make up your home, your memories, all the items that are now gone. Our firm does not travel to the western states. However, there are firms like ours. In other states like California, Oregon and Washington. Our place is to stand with South Florida. We are here to offer Inventory Services & Home Sitting in South Florida. I’am a Floridian, a South Floridian and it is my charge to explain, educate, enlighten and direct your efforts to protect our neighbors. However, my blog contains free information to all. There are other professionals who provide,Personal Property Inventory, Appraising and House Sitting. If you have a question or direction please feel free to contact me. Contact info is displayed at the end of this entry. Insured losses due to natural disasters in the United States in 2016 totaled $23.8 billion, more than the $16.1 billion total for 2015.
accounted for about 60 percent of the 2016 insured losses. Floods and flash floods accounted for $4.3 billion in insured losses in 2016. Tropical cyclones accounted for $3.5 billion in insured losses. Winter storms and cold waves caused $1 billion in insured losses in 2016. Wildfires, heat waves and drought produced $1 billion in insured losses in 2016. Source: © 2017 Munich Re, NatCatSERVICE; Property Claim Services (PCS®)*, a Verisk Analytics® business. Storm surge flooding is known by experts to be one of the primary causes of hurricane-related property damage along the Atlantic and Gulf coastlines. It is important to recognize that Florida has more property at risk to storm surge than any other state. 2017 the number of flood policies in Florida as of February 2015, totaled more than 1.9 million; however, there are over 7.3 million housing units. Source: © 2016 Munich Re, Geo Risks Research, NatCatSERVICE. As of July 2016. 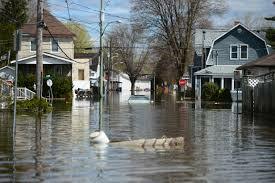 Standard homeowner’s insurance does not cover property damage from storm surge. 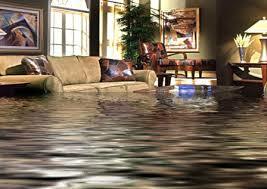 Coverage is available through the National Flood Insurance Program (NFIP). ThE 2014 analysis shows that more than 6.5 million homes along the U.S. Atlantic and Gulf Coasts are located within storm surge risk zones, totaling nearly $1.5 trillion in total reconstruction costs (Table 1). More than $986 billion of that risk is concentrated within 15 major metro areas. Source: CoreLogic 2014. Based on estimated reconstruction values as of June 2014. (1) Includes catastrophes causing insured property losses of at least $25 million in 1997 dollars and affecting a significant number of policyholders and insurers. 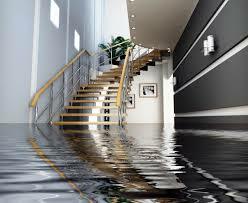 Excludes losses covered by the federally administered National Flood Insurance Program. Source: Property Claim Services (PCS®), a Verisk Analytics® business. We have been very lucky; Hurricane Andrew has recently hit 25 years since we have had a major hurricane hit us in South Florida. We might never have a visit from the likes of Andrew towards the shores of Florida. It might drop dead from wind shear or choke on the dry air. But that’s nice to think … the reality tells us different. There are more storms on the horizon. But it teaches us that we have time to protect our homes, our personal belongings and our memories. Either hire a professional inventory service or at minimum contact us and we can direct you to other assets to protect your personal contents (contact page)*. Hire a Professional Home Sitting Service where someone checks the residence from top to bottom on a regular basis. Giving reports and pictures and can address issues in a timely fashion. Insurance Premium credits are available if your home is being visited by Professional Home Sitting Service. After you’ve read and absorbed …. Have you taken any productive steps? This entry was posted in Hurricanes & Tropical Storms and tagged 2017, Florida, Hurricane, hurricane season, prepare, South Florida, Tropical Storm, weather on June 6, 2017 by homeaway.